Attention to renewable resources of fuel is increased because of global warming which is due to carbon dioxide accumulation in the atmosphere besides fluctuation in fuel price. Biofuels are proposed as a confident replacement for chemical fuels in order to solve this problem. Bacteria, fungi, plants, and algae are able to produce biofuels. Recently microbiologists are more interested in bioprocessing of microbial activities based on the optimization of various tasks simultaneously, and to increase process productivity and stability. These desirable properties often obtained as the result of interactions between microbial communities in polymicrobial culturing approaches. 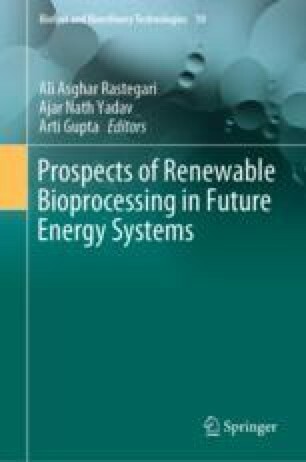 Production of fuels by biological systems using microbial consortia is a major reliable strategy for low-cost production, although, great challenge is faced when using such multi-cultures in large-scale productions. Although microalgae produce different types of biodiesels, they cannot compete with other organisms for using inorganic resources. Cyanobacteria are other biofuel producing organisms which combine advantages of eukaryotic algae and prokaryotic microorganisms with the ability of photosynthesis and as they are genetically transformable hosts. The maximum light requirement is a challenge in industrial bioreactor design based on cyanobacteria. Green sulfur bacteria are other photosynthetic bacteria, which can grow and produce biofuels in less light quantum fluxes by using unique large photosynthetic antenna complexes named chlorosomes. The advantages of algae and bacteria consortia in biofuel production include cultivation on large-scale wastewater ponds, heavy metal removal, decrease the values of wastewater indexes and production of high-value fatty acids by algae required for the growth of other organisms.